Over the past few weekends, both of my kids have had friends sleep over for the night. For my daughter, it was more of an orchestrated event with a particular movie, snacks and sleeping bags. For my son, it was just a place for his buddies to crash after a party. As we entered the coop, I watched their reactions to the chickens. It’s generally the same for most people : 1 part caution, 1 part fear, 1 part interest. Maybe it had something to do with me possibly saying something about “attack chickens” that fostered more of the fear part. For my daughter’s friends, the fear part must have dominated their reactions because nobody even asked to see the chickens. Not even after I promised fresh eggs for tomorrow’s breakfast. Maybe they just didn’t care. Maybe the movie JAWS was too captivating. Maybe, they were just being kids. Anyways, it got me thinking more about our alienation from our food source and the fact that most urban kids (and adults) have very little or no connection with the food that they eat. I’d bet that most of these young people have never even seen a chicken up close and they have a preconceived notion that chickens are just dirty barn yard animals. That might explain why the girls had no interest in visiting the hens. It’s too bad that we’ve created such a disconnect from our food source over the years. I know it’s easier to just go to the grocery store to buy those eggs, sausages, olives, canned peaches or whatever. But, with that convenience, comes a lost opportunity to learn, create, share and take pride in your accomplishments. So, with that said, I got up earlier than usual and prepared breakfast for our guests. The menu included “backyard fresh” eggs, homemade potato hash, bacon, and homemade biscuits with last years’ blueberry and strawberry jam. Everyone got their first taste of “farm fresh” eggs, though I’m not sure if they were really impressed. Afterall, they are teenagers (or soon to be), who live in the moment, and are more interested in stuff that I do not understand or no longer hold of value. But, I do hope that our brief “lesson” regarding our food source stays tucked away somewhere in the archives of their brains. Well…….we made it! 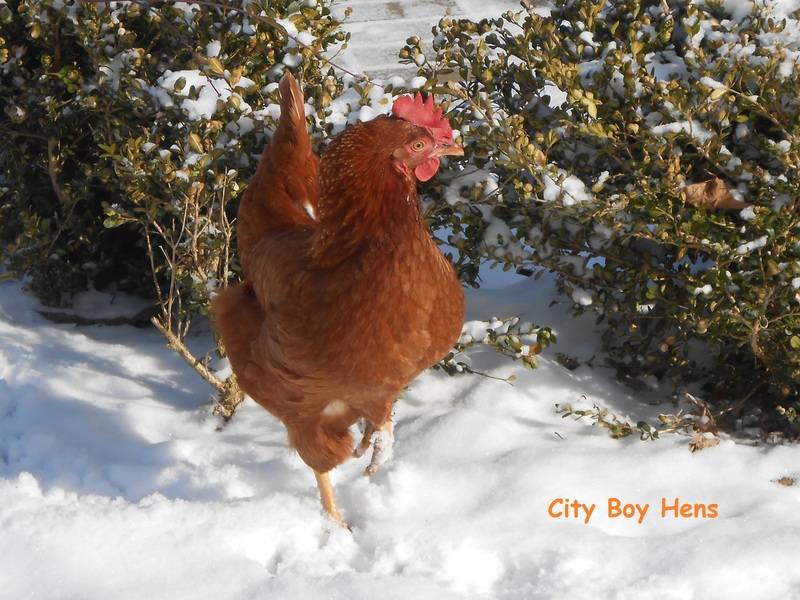 Maybe I’m counting my chicks before they hatch since Spring does not officially arrive until next Wednesday, but I’m confident that we have broken the back on Old Man Winter. Compared to last year, we had a fairly snowy winter in Southern Ontario and it was accompanied by a few really cold nights (-20C). 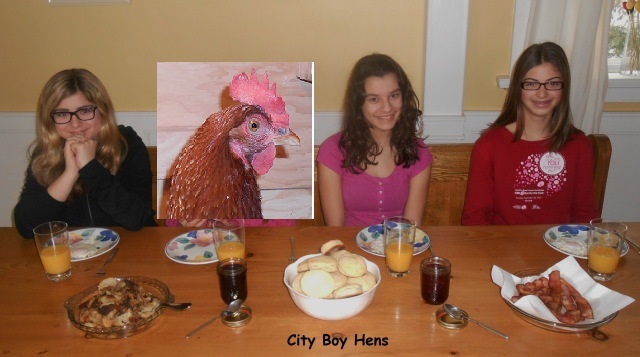 All said, everything worked out well for the hens. 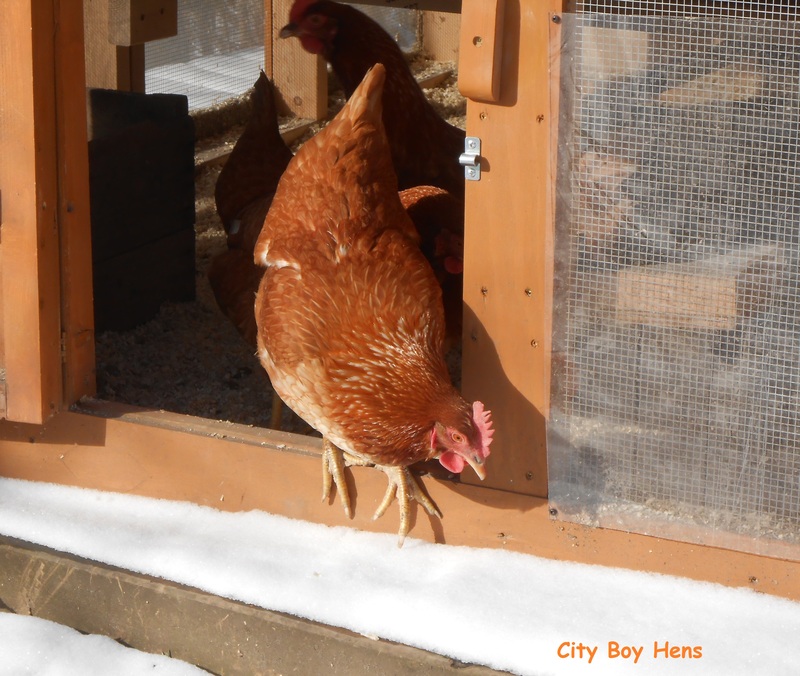 They continued to lay each morning and accepted confinement to the run. 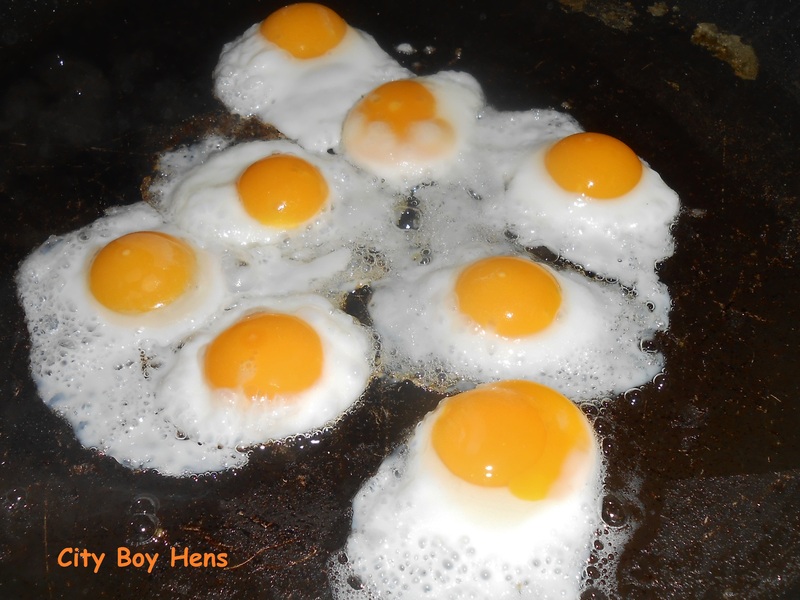 The use of a 100 watt light bulb during the day kept the drinker and eggs from freezing and humidity in the coop never rose above 68%. I’ll attribute the latter to cleaning out the poop in the coop on a daily basis and the supplemental heat from the light during the day. 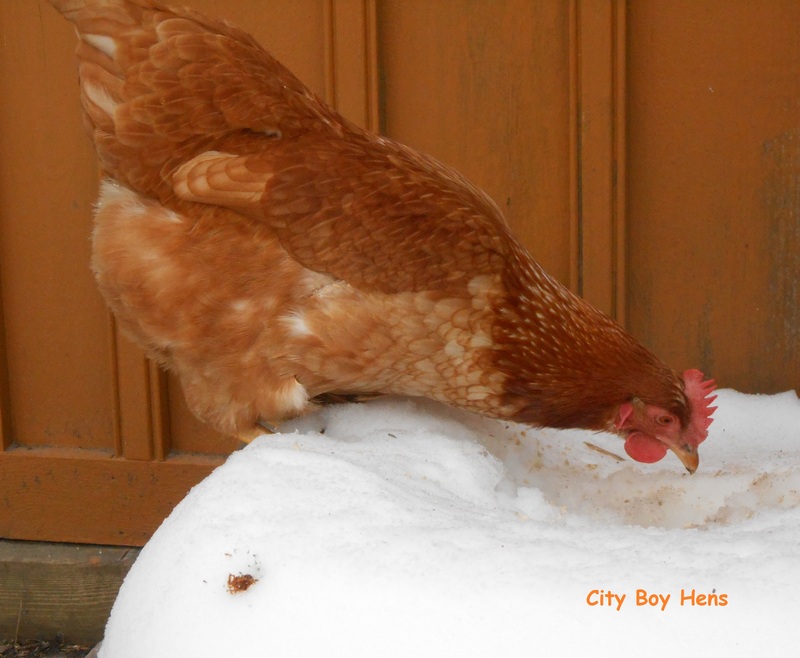 There were a few times when the hens got out in the backyard to roam and it was funny to watch them become accustom to the snow. As always, Honda had to lead by example, though she too, was also “chicken”. The hens turn 1-year-old next week. They have now officially moved from pullets to hens! 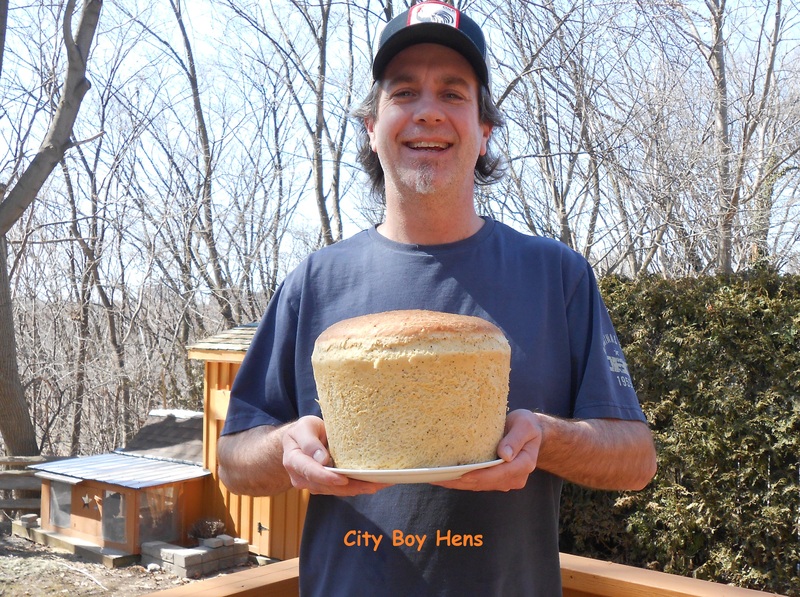 I’ve learnt a lot over the last year about raising chickens and I hope that the worry, information searching and solutions will be of use to you. 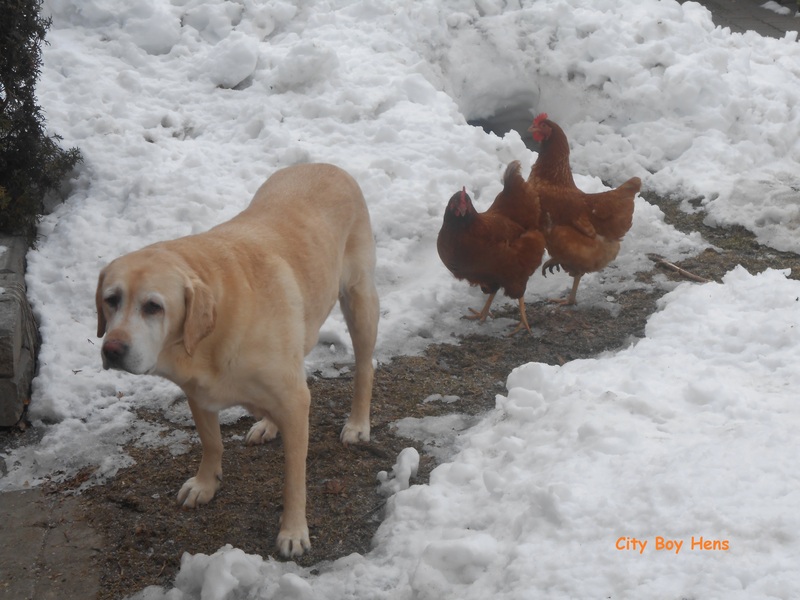 I look forward to the Spring when the grass will begin to grow again and Stanley will resume his job as protector of the hens while they are free ranging. 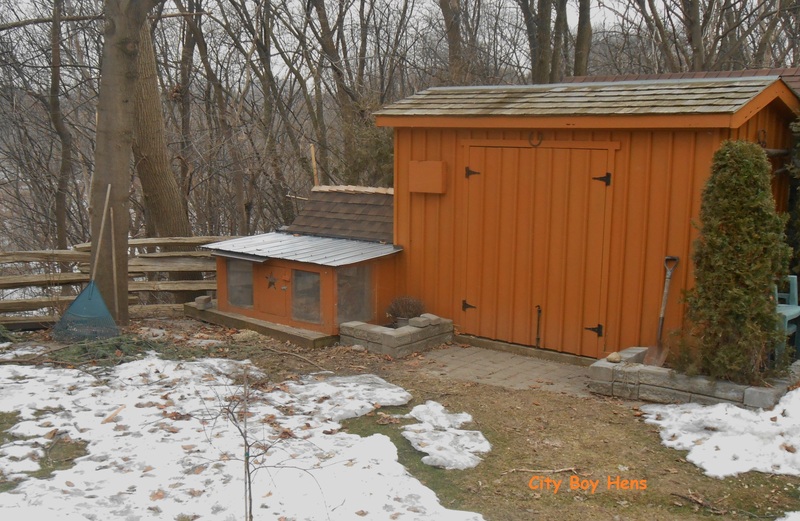 Until then, the hens will have to settle for what they can find on the bare patches in the backyard, continue eating spinach and carrot peelings, and mostly stay in the run where those two red-tailed hawks can’t get to them. Goodbye Old Man Winter. Don’t let the door hit you on the way out! We’ve shared enough of your company and it’s time to move on. Please make room for the new starting pitcher named SPRING! 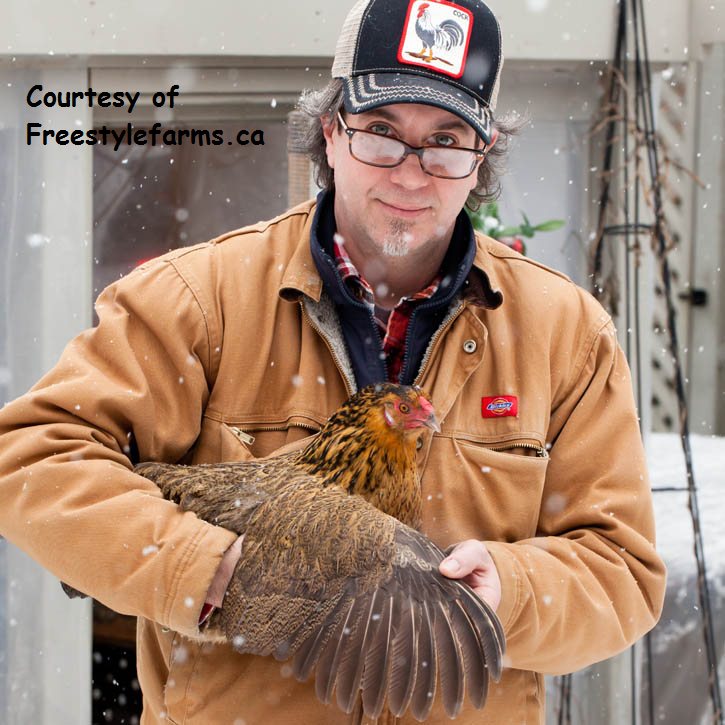 Last Sunday, I had the opportunity to hook up with Jill from http://www.freestylefarm.ca/. 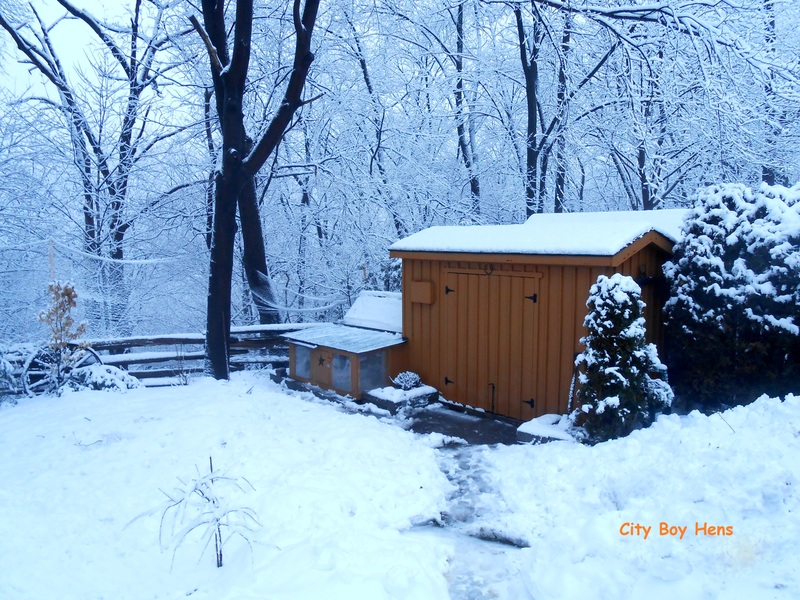 I came across Jill’s blog last September when I was thinking about how to winterize my previous coop. Since the Autumn, Jill & I have communicated on a regular basis and have shared a lot of information. As you all know, it is great to be able to share with people who have similar interests. It is not only a great way to gather knowledge, but also one that imparts inspiration. Jill has definitely inspired me to think “outside of the box” in many areas and I am grateful for knowing her & Kevin. Late last year, Jill told me that she was considering getting some quails to add to her urban farm. If I remember correctly, the rational for this was that her hens were getting older and no longer laying as many eggs. It turns out that quails are egg laying machines and start laying at around 6-8 weeks of age. 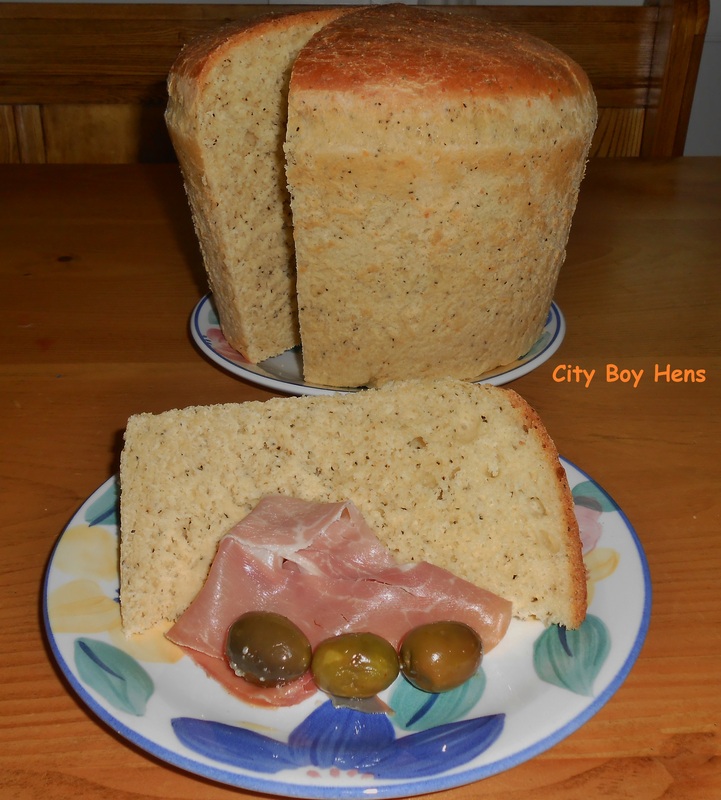 Check out her post at http://www.freestylefarm.ca/2013/02/04/raising-backyard-quails/ for more information on raising quails. So off I went to Jill and Kevin’s home to trade some eggs, exchange a few items and snap a few photos that I needed for a “wing clipping” page on my blog. ( I needed a picture of a hen that had not had her primary wing feathers clipped and my hens were all done last year) Thanks Kevin… This is the best pic. on my blog! Maybe it has something to do with your profession! Throughout the past week, amidst several bouts of shoveling, I looked forward to enjoying those eggs with a cup of coffee on Saturday morning. Well…my belly is now full as I write this post. Those eggs were not only beautiful to look at, but packed with flavour. I can now honestly say that I have a NEW PERSONAL BEST in the egg eating category. It now stands at 8!. I just might forget to mention that they were quail eggs!